This year the BarterXchange brokerage saw its membership rise by 47% to 250 members. Transactions through the Singapore-based exchange topped $2.5 million, compared to $1.4 million last year. Ozone Barter, another trade exchange located in Singapore, has a current customer user base of 300 members...more than triple last year�s count. Trade volume is approaching $1 million, up from $180,000 last year. The U.S. Conference of Mayors issued a report on what they consider the worst U.S. housing recession in 16 years. They contend that property values will be driven down by $1.2 trillion next year and therefore will slash tax revenues by more than $6.6 billion. Many mayors expect the 2007/2008 real estate crisis will go down in the record books as the worst ever in U.S. history. 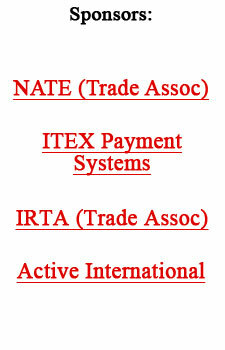 ITEX of New England will hold its Holiday Trade Fair on Sunday, December 16, from 11 a.m. to 4 p.m.. Location for the event is 707 Main Street, Monroe, CT.
For further information call (888) 294-6393. McDonald�s Corp. wants all its 14,000 U.S. restaurants to open by 5 a.m., as Americans increasingly buy breakfast earlier. Presently, 75% or their stores open that early. The new goal is part of a broader plan to increase average-annual sales by $400,000 at each outlet, to an average of about $2.4 million per U.S. location by 2009. Kualapu�s Cookhouse on the Island of Molokai accepts cash or checks�but no credit cards. They also offer diners an option...one can barter directly with the restaurant, a meal for some time in the kitchen washing dishes. Jeremy Grantham helped found GMO, an investment firm with $153 billion in clients� assets. He often takes a dim view of the markets, writing cautious commentary on economic bubbles, risky assets, and stock run-ups headed for a correction. �Today�, Grantham says, �I have a feeling that I�m watching a very slow-motion train wreck.� He expects that in five years, at least one major bank will have failed and nearly half the hedge funds and a substantial percentage of today�s private-equity firms will cease to exist. When Cequent Towing Products closed a plant in Huntsville, Ontario, laying off 163 workers, it set-up an employment resource center to help those laid-off. The center includes a web site for assisting employees with job search support, writing resumes, and government applications such as Employment Insurance. The web site (www.hiddenhitchsupport.com) also has a section where employees can barter for services. Google is indexing information from state governments in its on-going quest to have the entire world indexed. Florida is the 6th state to partner with Google for its official web properties. As part of the deal, information is indexed from multiple state databases (like the Department of Environmental Protection), making it more easily available via web search. The search giant has inked similar deals with Arizona, California, Michigan, Utah and Virginia. TeleTrade int�l has reported its 11-month trade activity for 2007 exceeded $100 million for worldwide trading on its online platforms for independent trade exchanges. Total of all online activity since 1999 when TTi took its technology online now exceeds $553,792,328. The eValues system reflects nearly $54 million in transaction volume during this period. eValues online totals should reach over a quarter of a billion in activity since coming online in 2000. eValues allows members and their trade exchange personnel to expand trading with 24/7 online access, daily trade broadcast e-mails, a strong inventory control system, comprehensive contact management, and an unequaled accounting system. eValues is continually being enhanced by a full-time staff dedicated to making trade exchanges and their members trading opportunities easier. TTi has its proprietary swipe card terminal technology available to all USA-based exchanges and can create a system for local exchanges worldwide to have this capability. These new programs will combine the ability to process credit, debit, discount and barter, programs all from one terminal for merchants. TTi has been able to secure a relationship with the fourth largest private merchant service provider to give participating U.S. merchants the guaranteed lowest processing rates. To become 2007 compliant with the new fraud and security regulations, many merchants will have to upgrade or replace their existing terminal hardware. The TTi program gives them the benefits of a terminal system that will take them well into the 21st century. For further information contact CEO Gary Lasater (303) 840-7172 ext. 1, or via e-mail to gary@teletrade.net. ITEX Inland Valley�s principals Peter and Neita Brooks recently hosted the annual Holiday Trade Fair at the Ontario Convention Center (CA)...in what is believed to be the largest cashless holiday trade fair in history. Member businesses traveled from as far away as Florida and Canada, with the intention of transacting with vendors to buy items using ITEX dollars. Member businesses purchased from 150 vendors, without using cash, credit card or bank check. Rather, they utilized their ITEX barter currency. The convention center was a prime venue for this event with its vaulted walls of glass, dazzling contemporary architecture, abundant parking, and easy access to freeways and the Ontario International Airport. More than 2000 members, all business owners, shopped during the seven hour extravaganza. Vendors saw a steady flow of customers until way past the official closing time. At the event, caterers and restaurants offered food and certificates for their services, plus there was a kid�s corner that had a moon bounce, pony rides and games, to allow parents time for shopping the massive event. A picture-taking opportunity with Santa Claus made this a memorable day for little ones. Vendors displayed an enormous quantity of fine jewelry, men�s and women�s clothing, shoes and accessories, live and silk plants, handbags and gift baskets, perfumes, doors and windows, sports memorabilia, bath products, luggage, small electronics, grandfather clocks, fine chocolates, photography, art, wind chimes, music videos, classic music CDs, DJ and karaoke, cookware, tuxedos and formal wear. There were golf products, Kachina dolls, hand-blown glass, dinner concert tickets, coffee, sports gear, cigars and accessories, toys, streetgliders and headsets, private labeled wine, Tupperware, day spa certificates and packages, and custom rugs. A real NASCAR racing car was on site, tempting attendees to sign up for a unique package that included a driving lesson and laps. The ITEX Corp. has had four consecutive profitable years of operation. For a closer look at the largest trade exchange in North America click here. There�s little reason to celebrate over the latest forecast on ad spending by Robert Coen, senior vice president and director of forecasting for Universal McCann. His finding was that the U.S. outlay, fueled in part by the election and the Summer Olympics, will grow by 3.7% next year to $294 billion. That beats the 0.7% growth expected in 2007. But it�s lower than the 4.6% worldwide total projected for 2008. And it reflects a continuing downtown in �the relative importance of advertising,� Coen maintained. Advertising has fallen as a share of gross domestic product from 2.52% in 2000 to 2.05% this year; nationwide ad spending should total $283.8 billion in 2007, he said. In addition, �the Internet and growing digital alternatives siphoned off funds from many traditional advertising practices,� Coen noted. But online growth also seems to be cooling. He projected that internet spending will increase by 16.5% next year to $12.7 billion; this year it grew by 20% to $10.9 billion. Direct mail spending will hit $63 million next year, a 4.5% increase over 2007. This year, mail increased by 4% to $60 billion, Coen reported. If Coen�s forecast holds up, the big traditional media winner next year will be spot TV, which is expected to grow by 10% to $17.8 billion. But he warned that the anticipated bump in spending next year will not continue in 2009. Also weighing the totals down is the increased focus on return on investment. �The desire for growing corporate profits has intensified and marketers have fiercely opposed above-average media price increases,� Coen wrote. Meanwhile, international growth is being fueled by spending in many emerging markets. Coen predicted it will rise by 5.3% next year to $359.5 billion. He presented his findings at the UBS Global Media conference in New York on Monday, December 3. With the 2008 filing season right around the corner, you may want to tune in to the IRS�s Tax Talk Today (TTT) program, �Getting Ready for the Filing Season 2008: Part 2 (Businesses)� airing January 8 at 2 p.m. EST. It will give tax professionals, their clients, and small business owners a head start. This annual program picks up where the December program ended (�Getting Ready for the Filing Season 2008: Part 1 (Individuals�). The show�s panel of experts will discuss business tax return issues for small businesses and self-employed taxpayers, recent tax law changes and updates for the 2007 tax year, IRS regulations, business credits, common errors, and processing issues which impact filing business returns for 2007. The one-hour live programs begin at 2 p.m. EST on the second Tuesday of each month, except April and August. In addition to viewing live web casts and archived programs, listening to audio podcasts and reading show transcripts, subscribers can also order audio and video recordings from the TTT web site. If you missed the program, the December 11 web cast is accessible for viewing via archive for 12 months at Tax Talk Today. A transcript of the show is also available, as well as an audio podcast. For more information go to the TTT web site (www.TaxTalkToday.tv ). To learn about the availability of IRS products and services, subscribe to the free e-News for Small Businesses...click here. Trade exchanges act as third-party record-keepers. As such they have certain interaction with the IRS. For the latest information on the subject click here. While the presidential campaign and the Summer Olympics in Beijing will be the dominate stories for next year, here are five other important issues you�ll likely be hearing more about in 2008. This may well be a hot issue for the 2008 presidential election, as it�s a most critical issue facing our nation. Although we've had decades to fix the problem, we are becoming more dependent on foreign nations for our energy needs. The focus may be on mobilizing our resources to get energy consumption under control, plus expanding renewable energy resources. As the U.S. is losing its position of �leader of the economic pack� on the world stage, we will lose the economic clout to dictate outcomes. The dollar�s decline is the result of a long list of economic ills including the large federal budget deficits, huge international trade deficit, weak savings practices by Americans, and the cost of the Iraq War. This will continue to expand because, whether you are a manufacturer or a consumer, it is now beginning to make economic sense to think about eco-friendly products and sustaining the environment. In the past, consumers felt it was important to have recyclable products, but weren�t willing to pay a premium for them. That is changing with growing pressure from society to both have more eco-friendly products and to live in a sustainable environment. With the price of eco-friendly products coming down, it also presents a genuine business opportunity that will improve.